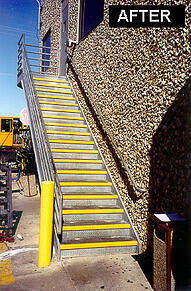 The stairway had been built using diamond (or checkered) metal plate for the treads and the landing surface. Over time these treads and landing had worn very smooth and had even become slick during dry weather. When it rained, these already slick stairs became even more hazardous. The stairway, treads and landing were still very sound structurally, so they did not want to replace the entire stairway. The facilities engineer had tried using gritted tape and grit filled coatings on other slick surfaces throughout the facility and knew that these options offered only a temporary improvement to their safety problem. While searching for a new solution, they were introduced to Fibergrate’s gritted tread covers and matching gritted Fiberplate. This alternative proved to be the most cost effective, long term solution that they considered. 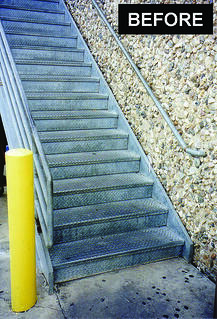 Fibergrate provided gritted fiberglass tread covers and Fiberplate cut exactly to fit the existing stairway. Installation proved to be easy. It only required bolting each tread cover and the platform landing cover to the existing treads and landing plate. This system has provided over 10 years of continuous service and is still going strong.  Solve your slick stair and landing problems with Fibergrate’s stair covers and Fiberplate products.